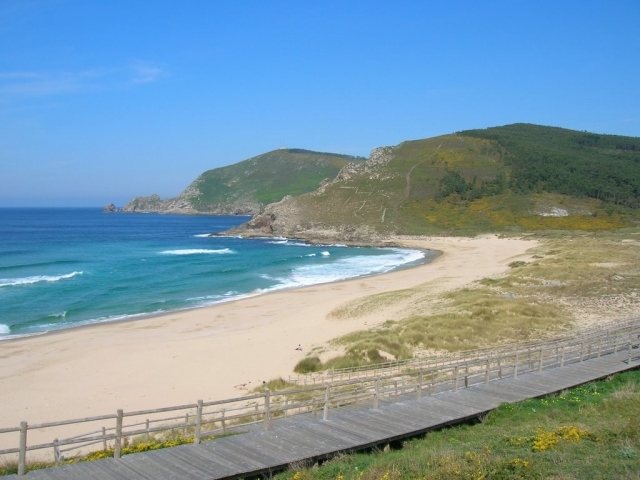 Increasingly, the goal of the Camino is not Santiago, but rather Finisterre, the second most visited place after Compostela. Situated at the westernmost point of Europe is, in the corner known by the Romans as the end of the world (Finis Terrae), the goal of great symbolism, surrounded by a multitude of legends. Watching the sunset next to the legendary lighthouse, burning your pilgrimage shoes and swimming in its glorious beaches are just a few of the most common rituals. Popular tradition claims that the Apostle Santiago went to Finisterre in order to destroy the pagan temple of Ara Solis, where the Celts would practise sun worshipping. Recommendations include: Casa Velay (with accommodation), the restaurant Playa de Langosteira, Áncora and the rustic Hostel Prado da Viña. If you are traveling on the Camino de Santiago or are planning to do so soon, you should know that the distance separating Finisterre from Santiago de Compostela is 98 kilometers.